Once again I haven’t written a blog entry for a while – due to bits and pieces in life and due to wallowing in self-pity for the past few weeks (I admit it! I did!). Part of that wallowing and that “It’s not fair!” attitude that I’ve had has been related to what I believed was an increase in advertising aimed at, and other media (such as on-line groups to share recipes and household tips, and opportunities to review products such as cars) reserved for, women who are mums. I have been in tears. 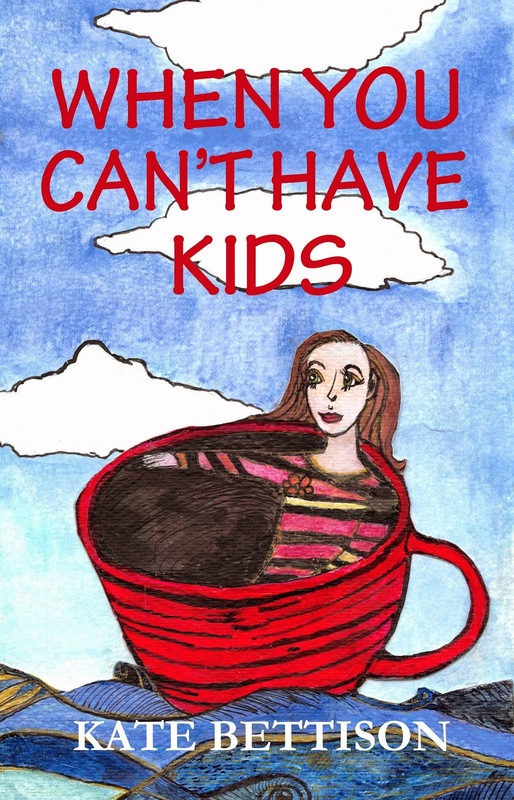 I have felt as though I am not worth anything because there appeared to be so many aspects of life that I cannot participate in due to not having children, and where I am invisible. It seemed that the world was pushing a toothpick into a wound that was almost healed, and it hurt. I became particularly angry at one post on a car manufacturer’s Facebook page where “real” mums were providing reviews on a new model of car that had just been released. I posted on the page asking what was with all the reviews by mums for seemingly every product on the market. Well I sure got it from the mums... How dare I say that mums shouldn’t do reviews – although that wasn’t what I meant – I was just wondering why the views of people who weren’t mums was being overlooked. Some of the mums pointed out that they have special criteria, as mums, that they require from cars – such as safety, space, easy to drive, fuel efficiency, etc. Ow! There goes the toothpick jabbing my wound just a little bit more. My next response on the page was that these criteria were equally important to me and to many other non-mum people – such as grandparents, dads, people with fur-kids, uncles, aunts, friends of people with kids, and even people who have nothing to with kids at all. After all, who wants a car that isn’t safe, doesn’t have enough space for their lifestyle, is horrible to drive, and costs a lot of money to run? This, too, did not go down well. How dare I suggest that my needs in a car were the same as that of a mum? I realised something important and decided to pull out the toothpick and put a strong bandage over my wound. It was a sudden epiphany that the opinions of those particularly mums was completely inconsequential to me. I know who I am. I know what I like and what I don’t regarding many different products. I care about my nephews and nieces and their safety – just as much as their mums do. And I have the choice to not allow the mum-focussed marketing to hurt me. It doesn’t actively hurt me – I hurt myself. I let the toothpick in – and often the toothpick is one I selected for myself. And most mums – and especially the ones that are my friends and family – don’t think of me as unimportant. They see me as I am, without children, and seek my company and want to know what I think about all sorts of things. I am not invisible to them. And that is what matters. I know what you mean. I have been seeing a lot of advertising lately aimed at mothers. I agree with you, just because some of us cannot be mothers does not mean our needs should be less important. I wish I could say I was surprised by the responses you got on facebook but sadly, I'm not. I've seen this happen a lot. What is that saying? Those who mind don't matter, those who matter don't mind or something to that effect. Oh, I love this post. I'm really sorry that you were hurt, but I am so glad you finished the post the way you did. I think too that mums are, as a group, very defensive. And of course, the best form of defence is attack! Unfortunately, we're often on the end of that. And yes, I have boycotted particular products because of the mums or babies aspect of the advertising. (Certain fabric softeners, with photos of babies on the label. Don't people without babies like soft fabric too?) Argh. I also feel so sorry for dads and grandparents, etc, as they don't get a look in either!